On the morning of Jan. 22, a portion of University Hall and the Student Center flooded, forcing students out into the frigid cold. With the second week of spring semester underway, classes were interrupted thanks to a blaring fire alarm. Concern was on the minds of students and professors as they made their way to the exit. As people made their way out, they were puzzled by the crowd of workers that had gathered by the main entrance. The entry way flooded with water from the ceiling and resembled a rapid waterfall. Workers quickly rushed to close down Einstein Bagels. Upon inquiring from multiple sources, it was unclear as to what exactly happened in the building. According to staff at the student center help desk, it was a malfunction with the sprinkler system that was supposedly set off by a burnt bagel at Einstein’s Cafe. That explanation, however, did not account for the flooding at the Student Center the same day. 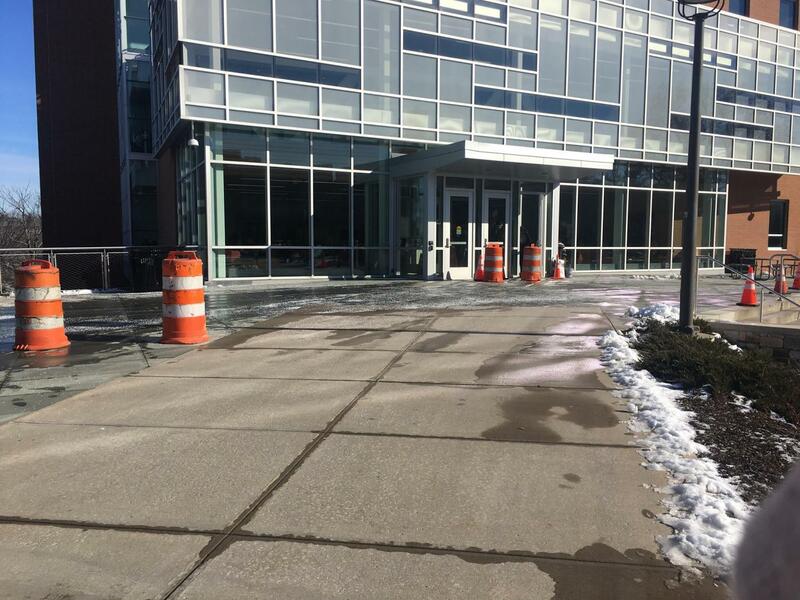 Some students and faculty speculated that a pipe burst inside of the building, matching a similar occurrence that took place at Montclair State University that same day. While some people did not mind the class interruption, many others found it to be an inconvenience to their newly-formed class routines. Several students commented on the occurrence that interrupted their 11 a.m. phonetics class. Another student, Georgia Mark, was happy the situation wasn’t worse. With the temperatures dropping and it being bitter cold, many students were frustrated with this happening on such an unpleasant day. “It was really unfortunate that it happened on such a cold day, and that we were forced to leave when no one wanted to be outside,” Courtney Gruber said. While many students and faculty felt this was an unfortunate occurrence at University Hall, students and staff were shortly let back in and able to pick up where they left off. Luckily, there were no lasting issues that prevented use of the building, so the semester will carry on as usual.